KAMPALA – Virtual University of Uganda, the hub of online studies in Africa and a game changer in Uganda’s education system, has a lot to share. PML Daily’s Abraham Mutalyebwa had a one-on-one session with Prof. Everd Maniple, the Vice Chancellor to understand the dynamics of this mode of learning. Prof. Maniple tell us about Virtual University and its history. It’s entirely an online university which was started in 2011 by two professors who have been in the education sector for 50 and 25 years respectively. And as they were retiring they decided to do a legacy project to push Uganda’s education to another level after observing that online education had not been embraced in the country as a futuristic mode of learning. It’s the first fully online university in Africa. Other institutions have learning with a component of face to face and online. We draw our students from all over the world and apparently we have students from 16 countries and staff from 13 countries. The concept was meant to offer convenience, high quality and reliable education for busy people with work, family, those denied visa to study abroad, those with no scholarship and those who can’t leave their home countries but can create time and money to study. It’s a cloud-based university with no heavy infrastructure. We rely on network/ backbone provided by the government and our services are provided by Research Education Network of Uganda (RENU). They have over 50 institutions and as members we are able to access internet at affordable costs. How is Virtual University compared to conventional method of learning? Conventional learning requires a lot of physical infrastructure. Some of it is not used effectively thus more capital investment which is not necessary. Our university cuts all this and space. We can run the University with limited space. We leverage from benefits of cyberspace that include: broader reach, less parking for students and staff, technology-based and future-based. What courses do you offer at the University? Health Studies with a Masters in Public Health and Post Graduate Diploma in Public Health. School of Business Management with Masters of Business Administration (MBA); Executive and MBA (Ordinary) with specialities in Environment Management and Women in Finance. Energy and Hydro Carbons with Masters of Science in Oil and Gas. School of Computing and Informatics with Masters of Sciences in Information and Communication Technology (MSC ICT) specialising in Development, Cyber Security, Cyber System. International Studies with Masters of Arts in International Development with specialities in International Security, International Relations and International Trade Policies. We also have our Corporate Academy with short courses tailored to meet the needs of the managers. Courses such as English, Computer, Monitoring and Evaluation, International Logistics, among others. Why have you focused on postgraduate students other than undergraduates? Our university is purely postgraduate except for the Corporate Academy. At the time it was started the founders knew that the people had not got the concept and they were aware that online learning can be used at any level. Postgraduates are more comfortable with computers. However, we intend to start undergraduate courses in the near future. This mode of education is not a common thing in Uganda’s Education system. Are Ugandans responding to online studies? Progressively more people are taking. Initially there was bias as people thought it was cheap and easily forgeable. Currently online institutions have strengthened their mechanism and the trust is steadily increasing. What challenges do you face? Any remedies you have in place? We do public education and give experiences. We also organise walk-in days, experiential learning though there are challenges because educating the public is a slow process. Even policymakers of higher education don’t have laws that address online learning. However, we follow the laws that govern face to face or brick and mortar education. 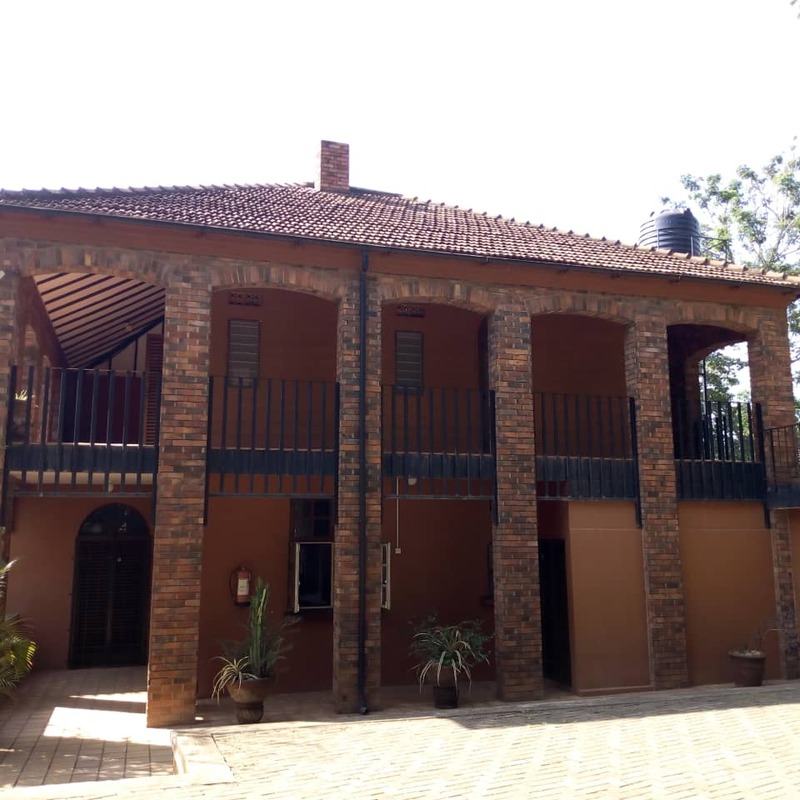 For example registration requires a particular acreage, and for Kampala it is a minimum of three acres. For upcountry, it is five acres. This affects our operations but we must comply with such policies though it’s a significant diversion to our core mission. What measures have you put in place for the Ugandans to believe or have confidence in online studies? First, we use testimonies from our graduates. They are positive and give us good experiences. We also get feedback from employers. At the same time we participate in activities organised by other universities to show them but the only difference is the mode of education. For authenticity purposes we have created security systems such as QR codes, Certificate Verification System with unique identifiers. Who are your biggest target audience? Tell us some of the success stories achieved so far. Currently, 60 percent of our students are from Uganda because it’s registered here and found here. But we draw our students from all over the world including countries like: Kenya, Rwanda, Burundi, Tanzania, South Sudan, Ethiopia, Malawi, and Nigeria. We also have students from USA, Europe and Asia. In terms of audience segmentation the majority of them are between 25 and 40 years of age. These are the young working adults that are busy and looking forward to building their careers. What are the modules of study? We have two modes. One is that students don’t have to physically meet at any time. They apply, register, study and graduate online because we stream live everything. They can pay their fees online or via the bank. For teaching we put online the content through Learning Management Systems. The content is structured according to programmes. Two, we also have a software programme for live classes where you read on your own. But once a week you must meet with the Professor in class after taking a consensus with the students about the time of study since learners come from all over the world. However, if some misses or can’t meet that time for the classes, material is recorded and one can read at their convenience. This is the uniqueness of online studies compared to face to face learning. What else do you want to share with the world out there? We have had four graduations so far with about 70 learners. All of them are working people and very happy with our education. We intend to increase the programmes offered starting with Masters of Monitoring and Evaluation and many more. We hope by end of 2019 we will have started doctorate (PhD) classes; and by 2020 undergraduate programmes. Online learning is modern education and Virtual University has attained this experience for over 10 years now. We have surpassed most of the challenges. We have partnered with other universities like Busitema and Muni in Arua and have taken them through this exciting mode of education to enable them have face to face and online studying. This is the future of education.